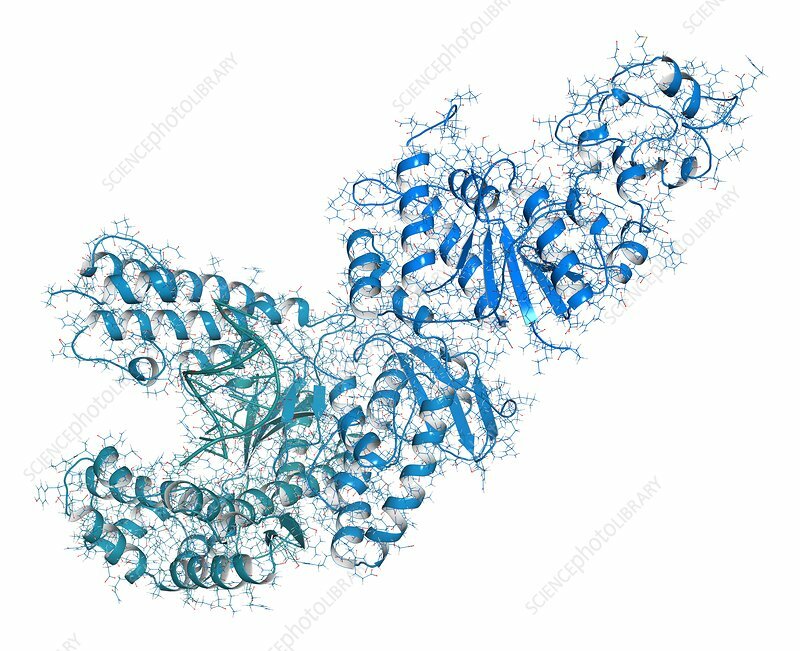 Taq polymerase (Thermus aquaticus polymerase) enzyme bound to DNA. Protein used in PCR (polymerase chain reaction), an essential biotechnology technique. Combined wireframe and cartoon model. Cartoon and carbon atoms: backbone gradient colouring (blue-teal); other atoms: conventional colour coding.